Fortune Skyline is one of the residential development of Fortune Group, located in Vadodara. It offers spacious and skilfully designed 2BHK and 3BHK apartments. The project is well equipped with all the amenities to facilitate the needs of the residents. What is the location of Fortune Skyline?The location of the project is Kalali, Vadodara. What is the area of apartments in Fortune Skyline? The area of apartments offered in the project ranges from 1030.0 sqft to 2500.0 sqft. What is the 2 bedroom size in Fortune Skyline? 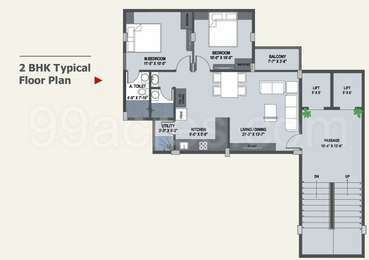 2 BHK units in the project are available in a size of 1030.0 sqft to 1800.0 sqft. What is size of 3 bhk in Fortune Skyline? 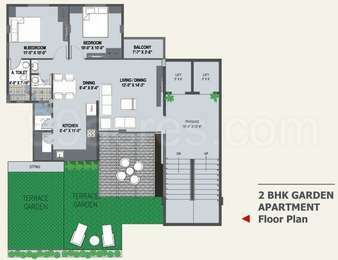 The area of 3 BHK apartments ranges from 1500.0 sqft to 2500.0 sqft. How many towers are there in Fortune Skyline? There is 6 tower in the project, which offer a total of 202 housing units. Does Fortune Skyline have swimming pool? The project doesn't have a swimming pool. Fortune Group is an eminent name in the real estate market of Vadodara. Company's portfolio encompasses residential houses, apartments, weekend homes and commercial buildings. Backed by a team of highly experienced professionals, the company is driven by the vision to deliver quality projects boasting best amenities, modern design and eco-friendly environment at the most reasonable prices. It keeps up to date with latest technology to cope up with the ever changing real estate scenario and deliver the best to customers.